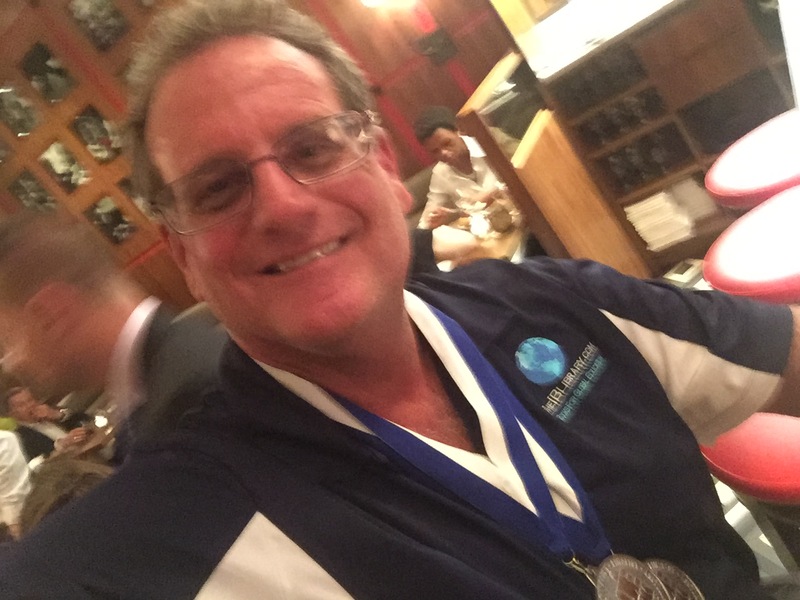 Thank you, Robert Fletcher, CEO of SBPRA, for attending the Next Generation Indie Book Awards ceremony during the BEA events in NYC, and accepting my two Finalist Medals for me for My Fingerpaint Masterpiece! This entry was posted in Award-Winning, Children's Picturebook, Fingerpaint, SBPRA, Self esteem, sherrill s. Cannon, Uncategorized on May 28, 2015 by Sherrill S. Cannon. I was privileged to be invited to have an interview with Kidsbook Friends, which I am proud to share below. 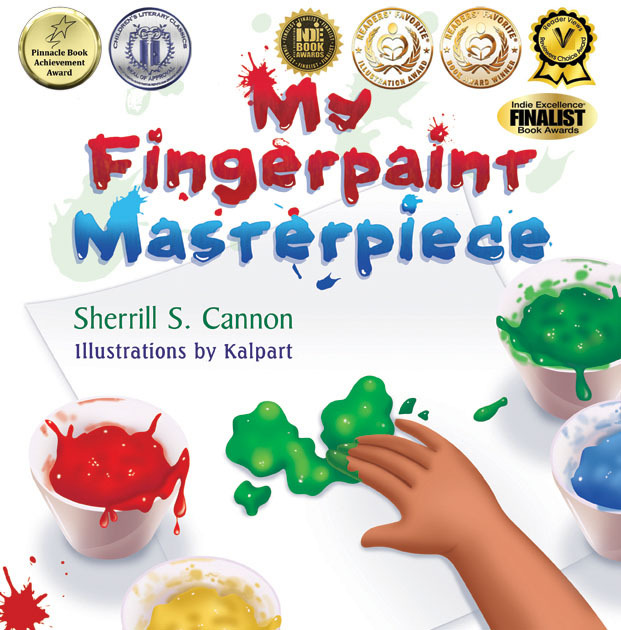 My Fingerpaint Masterpiece has now won 7 awards including the Readers’ Favorite Gold Medal, the Readers’ Favorite Illustration Award, Reviewer’s Choice H.M., Double Finalist in the Next Gen Indie Awards, Pinnacle Achievement Award, and recently a National Indie Excellence Finalist Award! What experiences, people, and/or books were influential in your life, leading you to write your own children’s books? 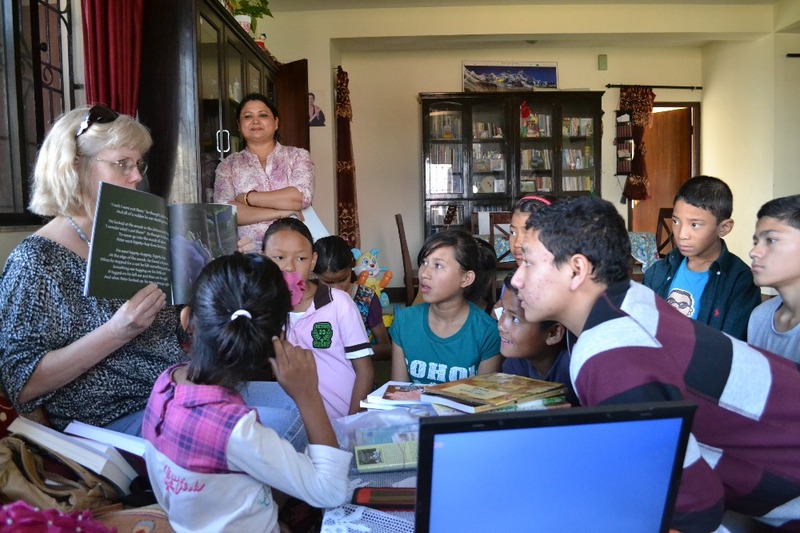 My mother, an elementary school teacher, instilled in me a love of reading – and rhyming poetry – from a very early age. I’ve been writing poetry since I was four years old (before I could write) and she collected my poems in a little book for me (which I used to have, but has been lost along the way.) She also inspired my second book, Peter and the Whimper-Whineys, a story which she told to my brother and me and her grandchildren (and countless second graders) and which I put into rhyme and had published. It is still a favorite (and a great whine-stopper!) I was a teacher for ten years, and am now a grandmother of ten. It’s lots of fun to share my stories with them!! When did you begin writing children’s book manuscripts? What was the first book you got published and with which publishing agency? I began writing the children’s stories several years ago, but didn’t have time to pursue publication until 2009 when Santa’s Birthday Gift was published. I submitted the manuscript to SBPRA (then called Eloquent Books) and they loved it, and it has now sold over 5,000 copies. I now have seven published children’s books, which have won 29 awards. I also have written seven published and internationally performed plays for elementary school children (performed in over 20 countries.) Those are all available at http://www.lazybeescripts.co.uk if anyone is interested. Which of your books is your favorite and why? What was the inspiration for your main character of your favorite book? My favorite will always be Santa’s Birthday Gift, since it was written in response to my granddaughter’s question after I read to her the story of the Nativity. She looked at me and said, “But where’s Santa?” The entire story came to me in a dream that night, and I really believe it was inspired… Santa’s “gift” is the promise to bring gifts each year to good boys and girls to celebrate the birth of Jesus. I would love for parents to ask the children if they can hear the “music of the words”, and whether or not they can find other familiar characters within the books. I usually have a “Special Note from Sherrill” at the back of each book, with questions and suggestions for children. Reading, RVing (that’s camping, but not in a tent! ), and Family Time! Please leave us with a quote from one of your books! And treat them the way that you know you would like. This entry was posted in Art, Award-Winning, Children's Picturebook, CureJM, eBook, Fingerpaint, Fundraising, Review, Reviews, SBPRA, Self esteem, sherrill s. Cannon, Uncategorized on May 22, 2015 by Sherrill S. Cannon. As a follow-up to yesterday’s posting of the wonderful review by Kidsbook Friends, I admit I had to chuckle a little when I saw that the reviewer definitely thought the child was a boy, and was probably “Jimmy” from Gimme-Jimmy. One of the questions at the end of the book is whether one thinks the child is a girl or a boy. (Amazingly, it’s usually a 50-50 split when I ask that question at a school book reading.) Since the entire book is about perception and perspective, I found this point of view refreshing!! There are no “wrong” answers! It made my day! This entry was posted in Uncategorized on May 21, 2015 by Sherrill S. Cannon. A book that inspires kids to do art and crafts is a book to read often. Such is the case with My Fingerpaint Masterpiece. The first question out of my kids’ mouths when we’re done reading this rhyming picture books is, “Can we paint now too?” The answer is “Absolutely”. Enjoy a creative book for such a wide range of ages. When Ms. Gallagher’s class created their own fingerpaintings, Jimmy tried to paint his dog, but wasn’t quite sure what it looked like. On his way home, the print flew out of his hand and the wind carried it into The Rainbow Connection, an art dealer’s store. Already late for home, Jimmy decided to let it go and try to beat oncoming rain. Much to his surprise, the following week, he discovered his fingerpainting framed and in the art exhibit! Jimmy was even more surprised when the judges not only stopped to study his piece, but also picked his print as the winner. The crowd began saying what they thought they saw in the picture . . . “the sun, a bird, a flower, a frog” . . . until finally Jimmy shouted out “No, it’s really my dog.” But they didn’t see a dog and they didn’t see a signature! No one believed that a child could really win a real art contest. But, Jimmy and Ms. Gallagher’s class know the truth. But my print should be hanging at home on our fridge. Just come to my town and you know what you’ll see? My masterpiece print in the art gallery!!! F- How do you feel when someone likes your artwork? R- Can you relate to Jimmy when we wasn’t quite sure what he created in his finger painting? I- Imagine that you could enter any artwork in a contest. Which of your prints would you select? If you don’t have one done yet, what would you like to paint? D- Develop your own art gallery in your room to display your favorite masterpieces. You could even organize a neighborhood art show! S- Share your art by making finger paint masterpieces into cards for your friends for occasions like birthdays. A homemade card is a true treasure. 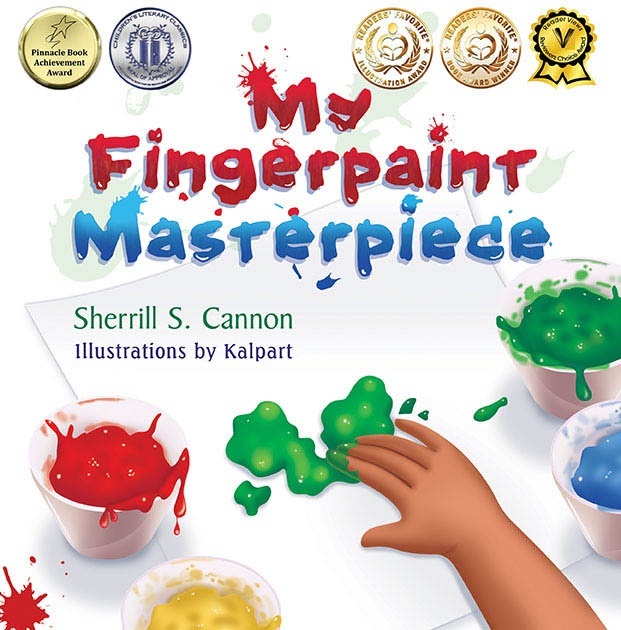 This entry was posted in Uncategorized and tagged Children's Picture Books, fingerpaint, Reviews, self-esteem, Sherrill S. Cannon on May 19, 2015 by Sherrill S. Cannon. 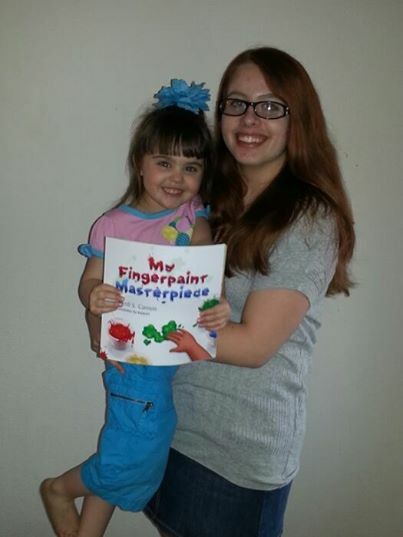 My Fingerpaint Masterpiece is an Indie Excellence Awards Finalist!!! Annual National Indie Excellence Awards! It is our great pleasure to inform you that you are a Finalist in the 9th Annual National Indie Excellence Awards. Your book truly embodies the excellence that this award was created to celebrate, and we salute you and your fine work. The lists of winners and finalists will be highlighted on our website. Please go to http://www.indieexcellence.com to see your name and book cover among those of the other proud winners and finalists. The entire team at the National Indie Excellence Awards sincerely hope your participation in our contest will serve you well in the your ongoing success. You have our deepest congratulations. This entry was posted in Uncategorized on May 18, 2015 by Sherrill S. Cannon. Lovely Feathered Quill Review of Mice and Spiders and Webs…Oh My! I am so thrilled by this lovely review by Ellen Feld of The Feathered Quill! Mice & Spiders & Webs…Oh My! Oh my! What will poor Rosemary do? Before leaving school on Friday, her teacher, Ms. Eddy, told the children that come Monday, there would be mice in the classroom! Eeek! Rosemary does NOT like mice. Nope, nada, not one little, tiny bit. The young student tells her mother that she will not be going to school Monday morning. Rosemary’s mother is quite confused at her daughter’s declaration. She knows Rosemary loves school and has lots of friends there too. What could the problem be? When Rosemary explains the imminent arrival of several mice, her mother assures her that all will be okay and surely a few little creatures can’t keep the girl from school. After all, she reasons, the mice will be in a cage. That may be so, replies Rosemary, but Ms. Eddy also said there’d be spiders…and webs! Double-eek!!! But something about them just gives me a fright. I know I should like them – I can’t, though I try. With the addition of spiders and webs, even Rosemary’s mother is a bit apprehensive about Monday morning. Surely, the teacher wouldn’t let spiders run around the classroom. Time for Mom, Rosemary, and Ms. Eddy to have a chat! Mice & Spiders & Webs…Oh My! tackles a really fun, and often ignored, topic – misunderstood words, how many words have more than one meaning, and the importance of listening to what the teacher is saying. You see, while Rosemary thought her teacher was talking about real mice and spiders, Ms. Eddy was using computer terms to introduce her students to popular technology. No spiders spinning webs in her classroom – nope, nada, not going to happen. Instead, Ms. Eddy was talking about the Internet, the mice we use to control our cursor, and email as well as other useful tools. This is the second book of Ms. Cannon’s that I’ve reviewed, and the third that Feathered Quill has reviewed (the other two are Manner-Man and My Fingerpaint Masterpiece). Like the other books, Mice & Spiders & Webs…Oh My! is a super-fun book that will surely put a smile on the faces of both children and adults. The rhyme is perfect, setting a light-hearted but informational tone, and the drawings, again by Kalpart, are bright and well-matched to the story. The author has taken a very interesting topic, computer technology, and turned it into a fun learning experience. Children will get a giggle out of Rosemary’s confusion of various terms while also learning what some of those terms actually mean. This book is a winner any way you look at it! Quill says: Another winner from author Sherrill S. Cannon and a great way to introduce youngsters to computer technology. This entry was posted in Uncategorized on May 15, 2015 by Sherrill S. Cannon. This entry was posted in Fundraising, Go Fund me, John 3:16, Uncategorized on May 14, 2015 by Sherrill S. Cannon.